Garage Keepers Insurance Ohio – Great rates and Coverage 7 Days per Week! If you’re looking for Garage Insurance in Ohio, Michigan, Indiana, Kentucky, Minnesota, Maryland, Tennessee, Georgia, or Florida you have found the right place! 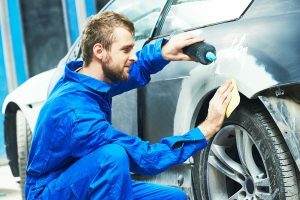 We offer highly competitive commercial insurance programs for both franchised and independent auto repair facilities, auto body shops, dealerships, and independent mechanics. Business Insurance for Garage Owners Ohio – What Coverage Is Available? The garage insurance policy can meet the needs of both franchised and not franchised auto repair facilities including truck, motorcycle, and RV dealerships. Section I (Covered Autos) includes the auto symbols and descriptions (you choose what coverage options called auto symbols) of what coverage is available under the policy. Section II (Liability Coverage) identifies the policy’s liability coverage for garage operations. Section III (Garagekeepers Coverage) provides coverage to customer autos in the insured’s care, custody, or control. Section IV (Physical Damage Coverage) provides coverage for physical damage to covered autos. Section V (Garage Conditions) explains the loss conditions that describe the rights and duties of the insurance company and the insured under the policy. Section VI (Definitions) explains the detailed meaning of the policy’s defined terms. There are additional coverage options to take into consideration when shopping for Garage Insurance in Ohio Michigan, Indiana, Kentucky, Minnesota, Maryland, Tennessee, Georgia, or Florida. One of our highly qualified agents can help you pick the coverage that is appropriate for your situation. Contact Pathway Insurance When You Need Ohio Garage Insurance. As a leading insurance brokerage we represent a number of top-rated companies that can help you find the coverage you need no matter your location throughout the United States directly and via our agent referral network.